In the middle of his medical course at the University of Melbourne, John Stocker took a year out to complete a Bachelor of Medical Science studying human organ transplantation. This year of basic science laid the foundations for a career of exemplary contributions to science, medical science and technology – a career that has combined coalface practice, corporate leadership and policy. After a PhD, under the eye of Professor Sir Gustav Nossal AC, CBE at the Walter and Eliza Hall Institute for Medical Research, John Stocker took up a position with the Basel Institute for Immunology, where he published the first paper on the use of monocolonal antibodies to define human cell surface antigens; then moved to Hoffman-La Roche in Basel where, in addition to early work on monoclonal antibodies, he was responsible for developing commercially viable products for cancer and for bacterial, viral and parasitic diseases. His last two years spent at the company were as Director of Pharmaceutical Research. John Stocker’s special talent for bridging the gap between basic biomedical science discovery and tangible improvements in health – a bridge built by developing and commercialising new therapies – was revealed. Humanity gains limited benefits from biomedical discoveries made by basic researchers unless someone is able to identify the significance of the new knowledge, use it to develop and test new drugs and therapies, and then make them accessible. Head-hunted by the Victorian government to establish AMRAD, the Australian Medical Research and Development Corporation, an initiative to boost the commercialisation of Australian biotechnology, John Stocker grew the corporation from the ground up. His enthusiasm for discovery science and technological research is revealed by his comment on taking up his subsequent appointment as CEO at CSIRO, which he described as ‘the most important job in Australia’. Certainly, the organisation thrived with landmark developments such as plastic currency, the CSIRO education program, and wireless technology developed under his watch. He would later, as Board Chairman, support the successful defence of the organisation’s wireless technology patent in the USA. When the Commonwealth offered him the role of Chief Scientist, John Stocker accepted on the condition that he could remain a practising scientist part time, believing that his advice would be more useful if he still had first-had experience of the issues facing scientists. His contributions to the development of science policy by reshaping the Prime Minister’s Science, Engineering and Innovation Council brought technology and science straight to the centre of government. Since then, as a member of the Board of Directors of a number of companies and as founding principal partner of Foursight Associates, John Stocker has continued to foster the commercialisation of science and technology. 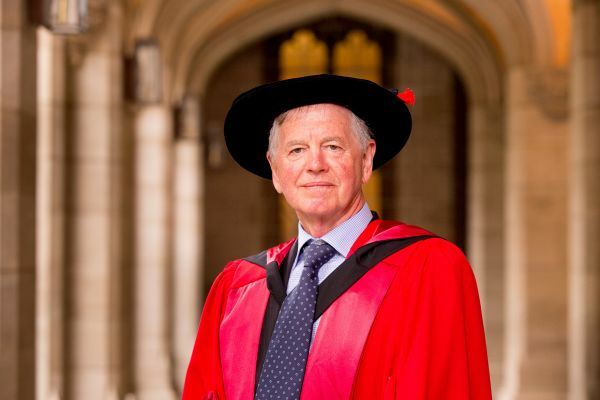 In a career that spans science and technology discovery, development, commercialisation and policy John Stocker has demonstrated myriad ways of bringing the bench and the bank together and shown us the value of investing in intellectual capital. The Australian scientific research and industrial biotechnology communities are stronger and more successful for his energetic, astute and distinctive contributions.